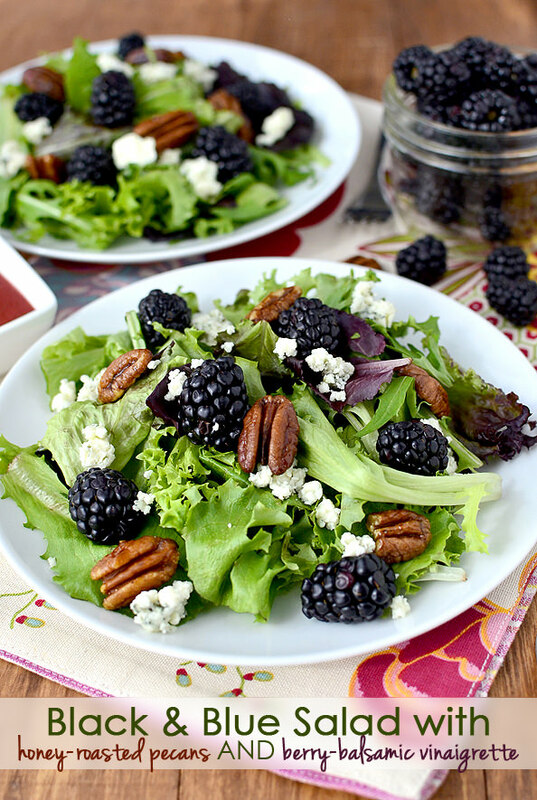 Black & Blue Spring Salad with Honey-Roasted Pecans and Berry-Balsamic Vinaigrette is a fresh and light, gluten-free side salad. Add shrimp, chicken, or steak to make it a meal. Someone pinch me, I must be dreaming. Either that or spring is finally on its way! I predicted the same about a month ago when Ben and I were out on a date night. We were bellied up to the bar of our favorite little tapas place, a champagne martini in my hand, whiskey neat in his, blistered creme brulee with strawberries and freshly whipped cream in front of us. I don’t know if it was the champagne talking, but something took over my body compelling me to proclaim, This is it! The snow is behind us. I can totally feel it! At any rate, it was so warm the other day that we actually had to kick on the AC for a few minutes to cool down the upstairs. Poor Lincoln was sweating through his sleep sack! Which, by the way, how much would you love to sleep in a cozy, fleece sack? There’s a business idea for you. Ben keeps trying to make the mansie happen (the man-sized onsie, if you will,) but I think the adult-sized sleep sack’s got a better chance. All that to say I’m pretty confident that springy salad days are just around the corner. You know, when the sun is warm and you’re craving something light for lunch or dinner like a big, fresh salad. 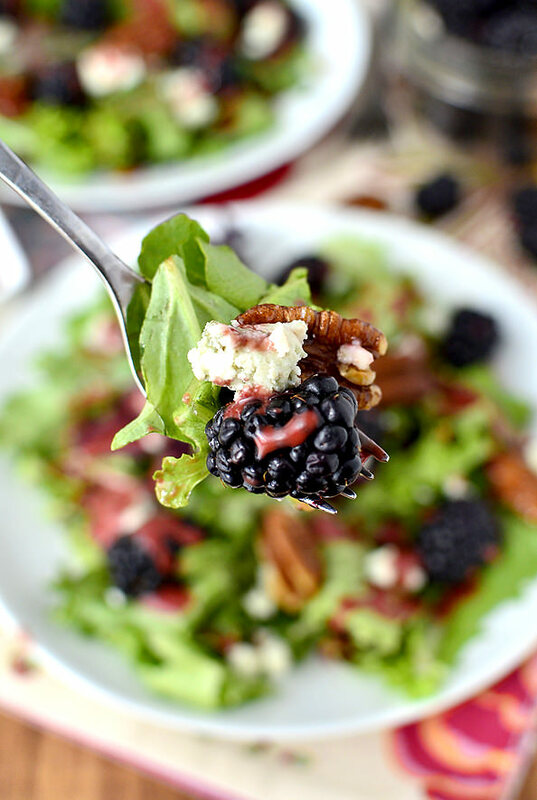 I’ve got you covered with Black & Blue Spring Salad with Honey-Roasted Pecans and Berry-Balsamic Vinaigrette. 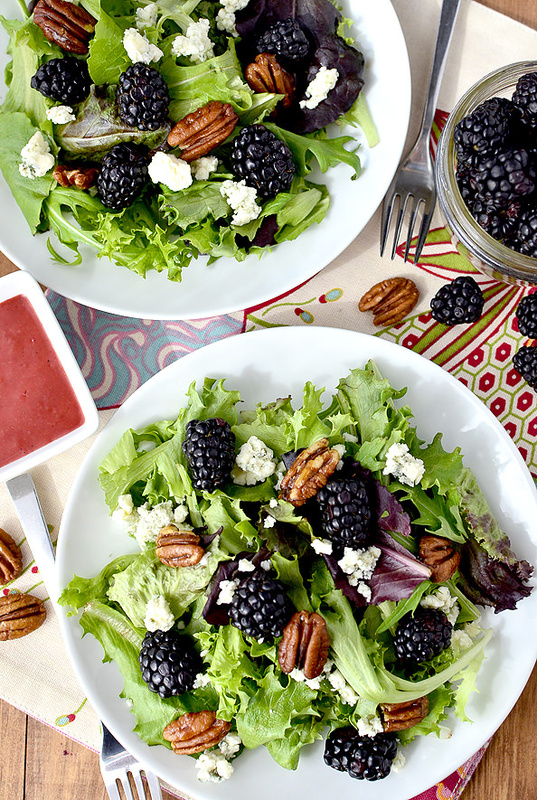 Homemade (insanely-easy) lightly-sweetened Honey-Roasted Pecans and a luscious, sweet-tart Berry-Balsamic Vinaigrette join fresh blackberries and really good crumbled blue cheese on a bed of tender, spring mix lettuce in this elegant appetizer salad. Want to make it a full meal? Add roasted shrimp, grilled chicken, or a juicy steak. This salad is based on the Market Salad from Whole Foods which combines spring mix lettuce with walnuts, dried cranberries, blue cheese, and balsamic vinaigrette. An awesome combo, for sure, but my take really elevates things. The Honey-Roasted Pecans are totally awesome (I had to make a second batch because I ate the first one before I could photograph the salads!) and using fresh berries instead of dried is a tasty nod to Spring and all the fresh, in-season produce that’s coming our way. Like I said, this salad is perfect as an appetizer, or add some protein to make it a meal! 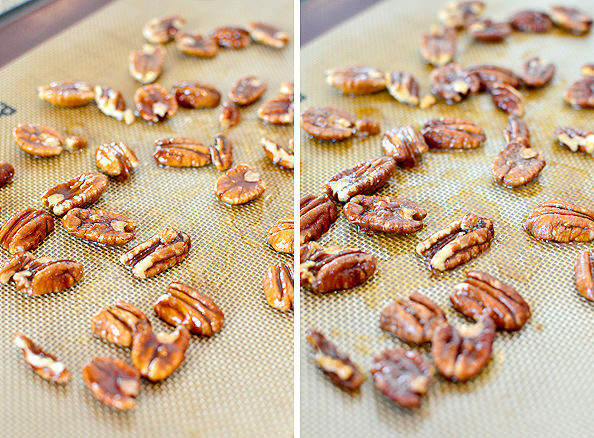 Start by making the Honey-Roasted Pecans. I want to slap myself for never knowing how easy honey-roasted nuts are to make. The recipe for ’em is actually from the 31 Meals Cookbook I featured last week! Simply melt 1/2 Tablespoon butter in a bowl then add 1 Tablespoon honey. Stir to mix then add 1/2 cup pecans and toss to coat. 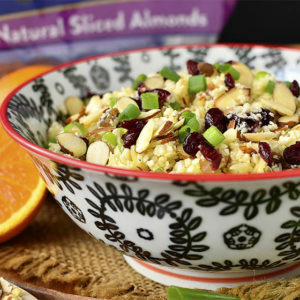 Spread the nuts onto a silpat or parchment paper-lined baking sheet then bake for 5-6 minutes at 350 degrees, or until the nuts are golden brown and fragrant. Sprinkle lightly with salt when they’re fresh out of the oven then cool completely, after which they’ll have a fabulously light and sweet crunch. You could make these nuts several days ahead of time, by the way. Next make the Berry-Balsamic Vinaigrette, which could also be made ahead of time. It’s actually even better after sitting in the fridge for a bit. 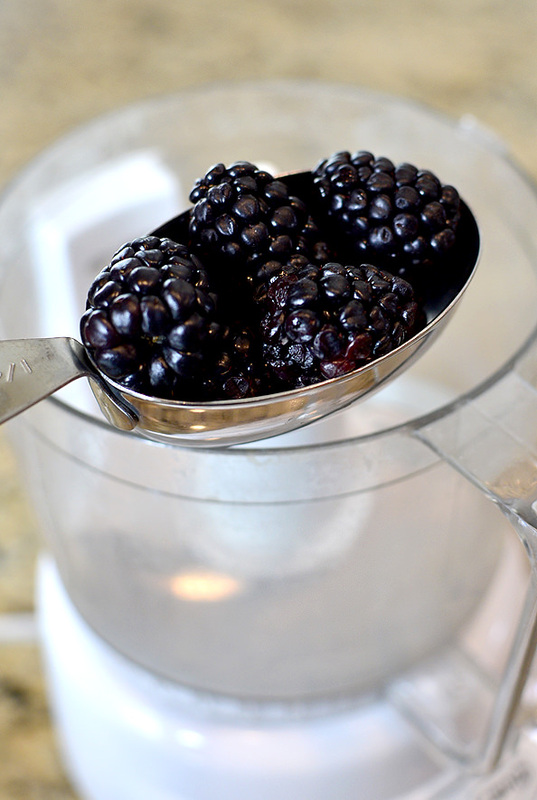 Combine 1/2 cup fresh blackberries (could use blueberries) with 1 Tablespoon sugar in a food processor or blender. Pulse to break the berries up slightly then let them sit and get juicy for a minute or two. Next add 2 Tablespoons each balsamic vinegar and extra virgin olive oil, 1 Tablespoon honey, and salt and pepper. Process or blend until smooth then taste and adjust seasonings as necessary. Be warned: this dressing is spoon-drink worthy. So yummy! Time to turn your attention to zee blue cheese. I used to HATE blue cheese. Like, totally loathed it. Then one day I didn’t. That’s all I got to say about that. If you still don’t like blue cheese, this salad would be just as good with feta or chevre. I’d actually go with chevre. It’s amazing on salads – kind of melts into the dressing and gets fabulously creamy. Anyway, I think the reason I didn’t like blue cheese before is because I wasn’t eating the right kind. Investing a few bucks into a good wedge makes all the difference. 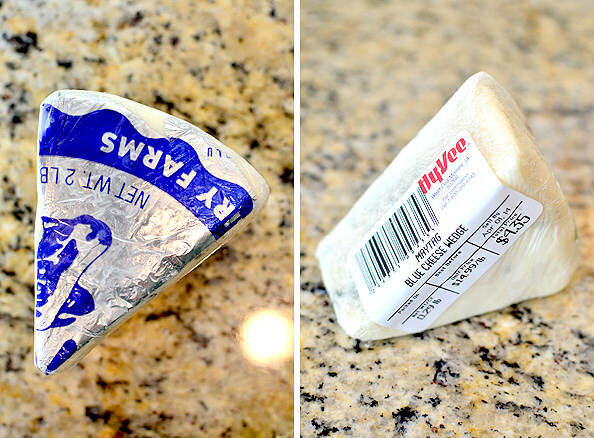 Maytag blue cheese, which is made locally, is absolutely to die for. Probably why it’s one of the most popular blue cheeses in the country! 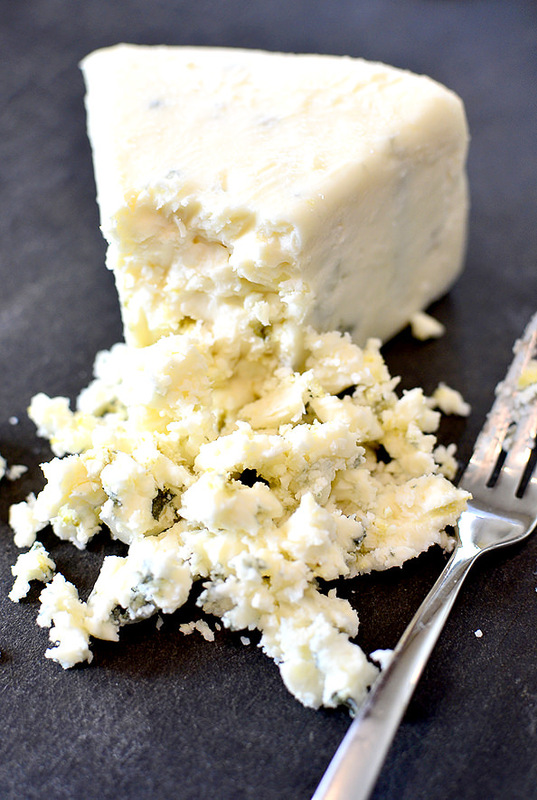 Blue cheese is very strong so you’ll only need 3oz for 4 side salads. All you have to do is crumble it up with a fork. 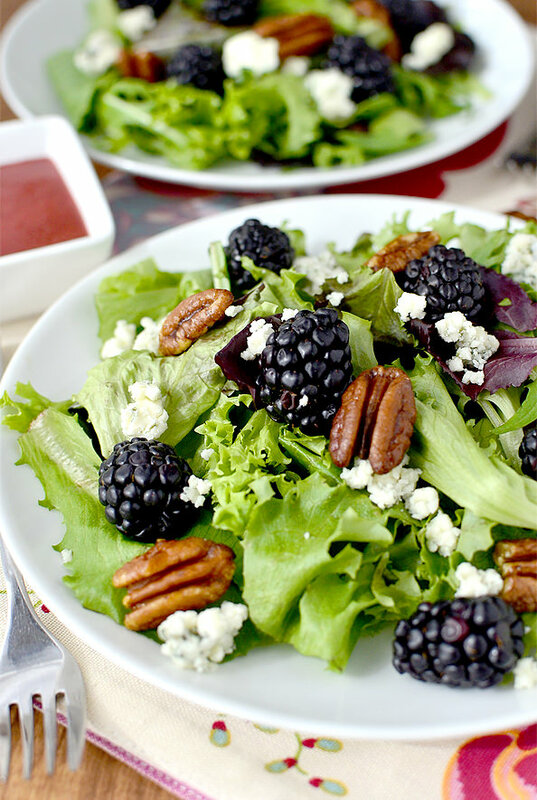 Divide 5oz spring mix lettuce between plates then top with the honey-roasted pecans, blue cheese crumbles, and tons of fresh blackberries. 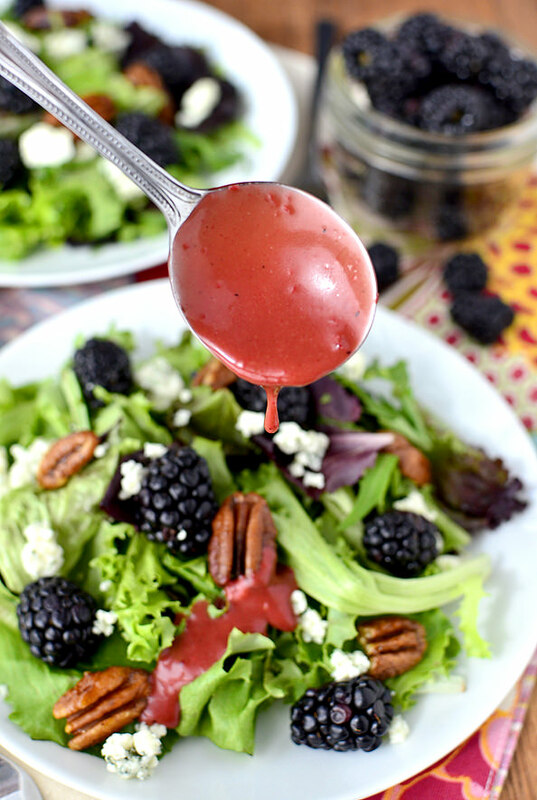 Drizzle with the homemade berry-balsamic vinaigrette, then you’re set! Black & Blue Spring Salad with Honey-Roasted Pecans and Berry-Balsamic Vinaigrette is a fresh and light, gluten-free side salad. 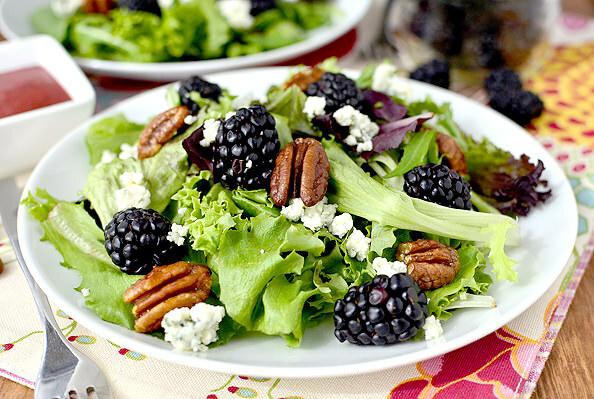 Divide lettuce between plates then top with blackberries, blue cheese crumbles, and honey-roasted pecans. 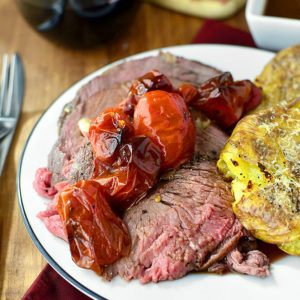 Dress with berry-balsamic vinaigrette then serve. Like I said, this salad is the perfect starter for a meal or would make a killer entree salad with the addition of grilled or sauteed shrimp, chicken, or steak. I vote for steak. Blue cheese + steak? Winning! This salad looks fantastic! I just love the ingredients.. pecans, blue cheese, blackberries.. yummy! I cannot wait to make this. I love a good salad! 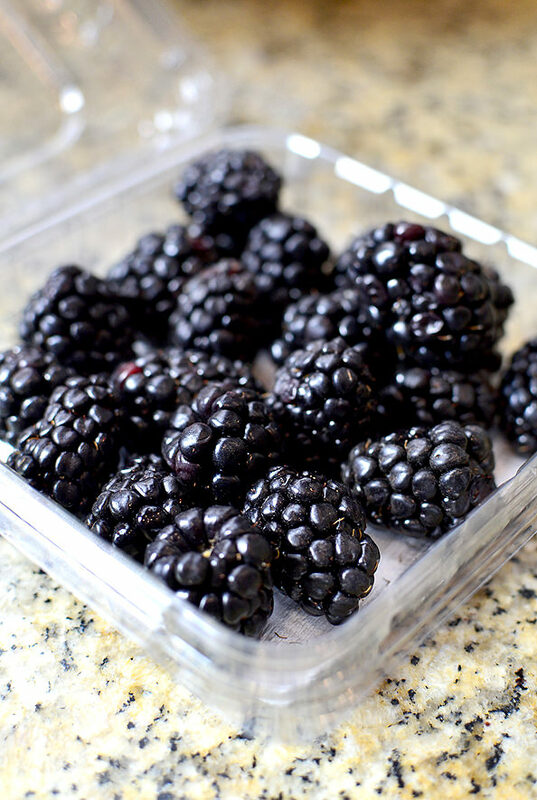 Blackberries have been so good lately. Bring on the spring salads! This is my favorite kind of salad: greens, a fruit, a nut, and some soft cheese. Yes. Oh yum! I love blackberries in my salad! Actually any kind of berry in my salad is fine by me. This looks amazing! I’m going to try your vinaigrette trick with berries soon. Not a big fan of the fruit in the salad. But the recipe we really need is a creamy garlic, or creamy parmesan dressing that the Des Moines area restaurants are famous for. I have looked high and low and can not find anything close. I love this salad. I make something similar with strawberries but I am loving blackberries right now so I will so have to try this! Sounds absolutely delightful! We go and pick a bunch of blackberries at a local patch, I’ll be saving this recipe for later! I love the Market Salad from WF! I have a feeling this would be even more amazing! This is my favorite type of salad! Anything to please my sweet tooth, right! 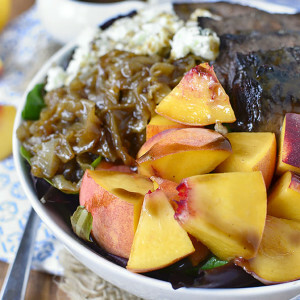 What a gorgeous spring salad! I can’t get enough berries, but I never thought to top greens with them! I keep getting fooled by the almost-spring days we are having, too! I just know it’s got to get warm and stay that way soon, right?! Anyway, this salad looks fantastic. I love berries and blue cheese together. My boyfriend and I live in Chicago and it’s STILL in the 30s. We always ask ourselves why we live here. I’m from Georgia and he’s from North Carolina. “Used to hate it, and one day I didnt”…bah! ha! Ha! Crack me up. I’m still in the NOT like it camp, but you are right–chevre would be fab! Looks delicious. I live in Des Moines – what’s the tapas place you spoke about? Would love to go check it out. Yes, this! I love tapas…where in DSM are we talking about? I live in Wisconsin and we are waiting….waiting…still waiting for Spring! Maybe after the winter weather advisory we have tomorrow morning. Ugh. 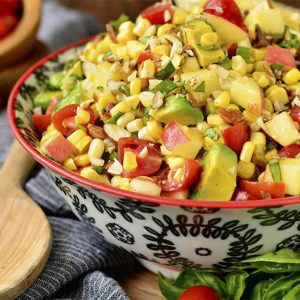 This salad looks fabulous…especially the dressing! Yummmm! I’ve got to buy myself some feta (not blue) cheese, and blackberries. All the other ingredients I already have. Yum. Have you ever done a DSM area restaurant guide post? When you mentioned your favorite tapas place, I immediately wondered what that was :). Can’t wait to try this salad! 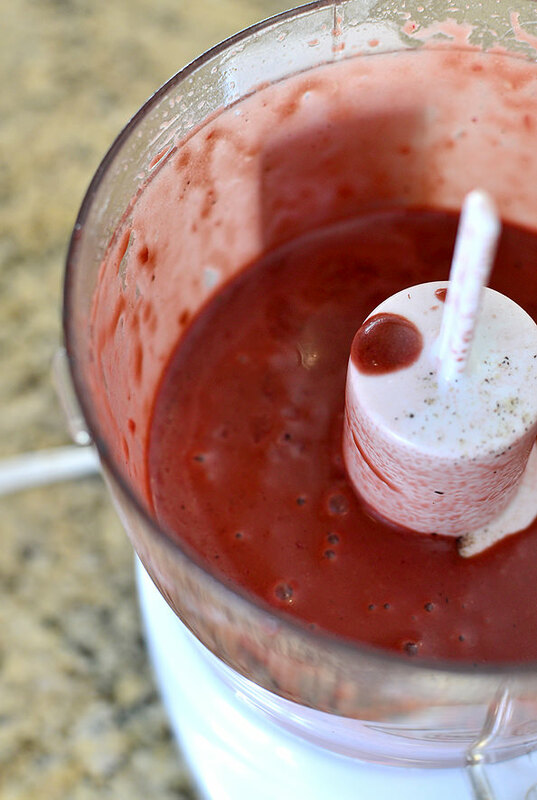 Have you tried making the dressing with other berries? I am loaded up with strawberries right now. Do you think they would work? I’ve never been one to add berries to my salad, no idea why! 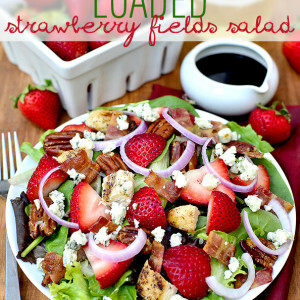 I do love the combination of pecans and salad though, so might need to give this berry one a go! This looks a bit weird to me with the berets added in. But it looks different and is love to try it because it’s different. Wow, this looks delicious! Especially the dressing. Yum! That salad looks really good!! I’m with you on the sleep sack…the twin girls that I nanny for luv their sleep sacks….so cozy!! This looks light and refreshing! I hope you get your sunshine soon!!!! I must have this! Your salad is simply gorgeous! Pinning! We made this salad for dinner last night! I used a mixture of raspberries & blackberries, and used meyer lemon olive oil in the dressing. I doubled the dressing recipe and used half to marinate chicken breasts, then grill them. It was amazing! My 7 & 4 year old boys gobbled it up! 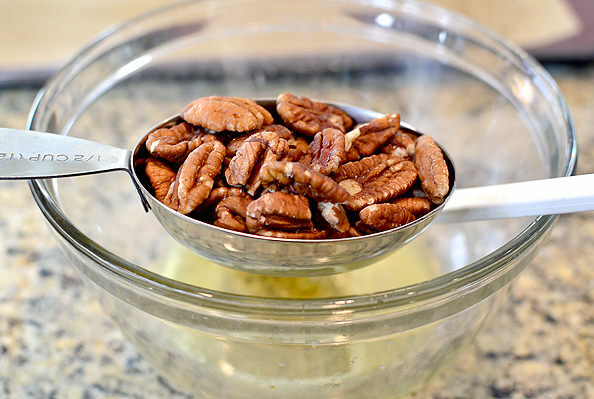 Watch how many pecans you make…they were addicting! We had to have turtle sundaes for dessert with the extras I made! Just used those nuts mixed with roasted butternut squash and goat cheese. So good it hurts! Should the pecans be raw, or can they be roasted? Mine were raw – sorry, should have specified in the recipe! I love this! It looks so healthy and delicious! Such a staple of IGE! Wow, this is gorgeous! Love the bright colors. Fresh berries are so wonderful on top of a salad – especially blackberries. That vinaigrette looks awesome, too! interesting once again almost no one has prepared the recipe only commented on there impressions of reading the recipe. On the berries do you use 1/2 on the salad dressing as described in the section on salad dressing and an additional 12 oz as garnish for the salad. 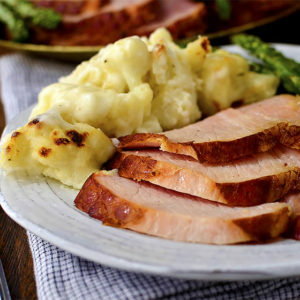 Or do you use a total of 12 oz and used what is left over from the dressing as garnish. 3 0z of berry garnish per salad is about 15 blackberries per salad which seems alot. Use the entire dressing recipe to dress the entire salad – there might be some leftover, it just depends on how much dressing you like on your salads. I bet this would be delish with a piece of seared salmon on top!! I’m making this salad for our Dinner Group tonight but the pecans are quite sticky and not as toasted as I had thought they should be. Does that seem right? Although they’ve already cooled I’m putting them back in to try to get them more toasty. I had tripled the recipe so it seemed like maybe I had too much of the butter and honey mixture on the pan. I’ve transferred them to a fresh silpat leaving the excess mixture off. Hoping that will do the trick. Any thoughts or tips for me? It sounds like maybe there were too many on one pan and they steamed instead of baked. If you pop them back in in a few smaller batches hopefully that should help! Oh good! So glad they worked out in the end! Just tried this recipe for a 4th of July party– hope everyone likes it! I did notice though that my dressing came put a lot darker than yours and quite a but thickrr– it’s almost a smoothie consistency rather than a vinaigrette dressing. Any suggestions on what may have gone wrong or that I could change for the futute?